Spring/Summer are coming in Switzerland this week!!! I'm so excited!! Can't wait to wear short everyday lol. For me, I prefer Summer than Winter, how about you? And, one thing I need to change is my make up products!! 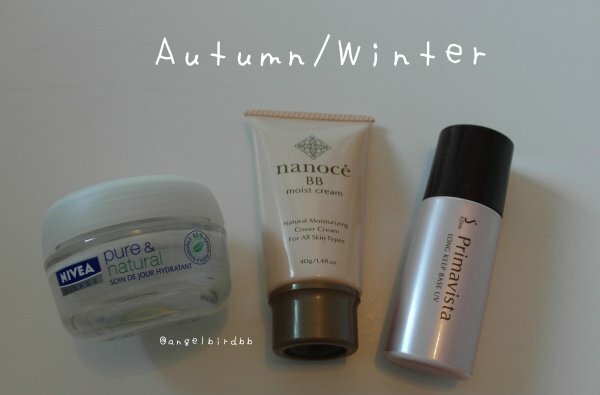 I'm oil skin type, during the winter, I mainly use some moisturizing products & against oil + SPF products. Face cream & BB cream are good for me too, Nivea cream (day & night) is work perfectly with my skin!! It's my 2nd bottles & I definitely will purchase it again! But I discovered some creams that I bought from Hong Kong are still in my wardrobe, so I decided to use them first!! This BB Cream is a Japanese brand and I bought it in Log-on Hong Kong!! This is my 3rd bottles & they are two differents shade, mine is no.2 the darker one! I like this BB cream but it's not suitable for summer, especially for oil skin type!! 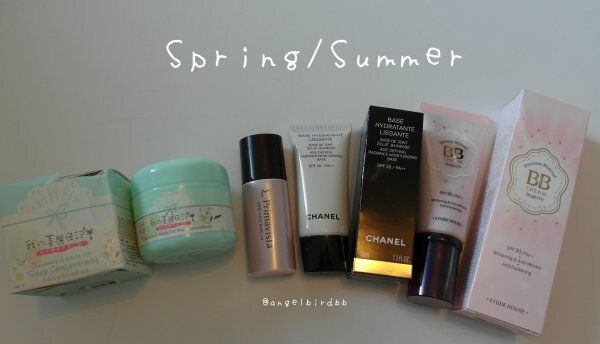 Today morning, I change & add some of my make up products for summer. Same oil control base, and I add one more chanel base, it's just because I found it in my wardrobe & want more protection against the sun/UV. The BB cream is from ÉTUDE HOUSE, SPF30/PA++ Whitening & Anti-Wrinkle Anti-Darkening. 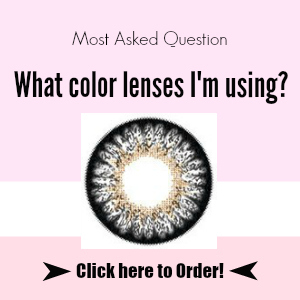 It's new for me, first day use, the shade is perfect on my skin, mine is W22, the texture is much lighter than the Japanese one! It's better for summer time!! After all of this products, I put the Maybelline concealer to cover my eye dark cycle & Chanel powder to finish the face look. These are my summer make up products, how about yours?! OK, no problem!!! i'm going to check out now!! !